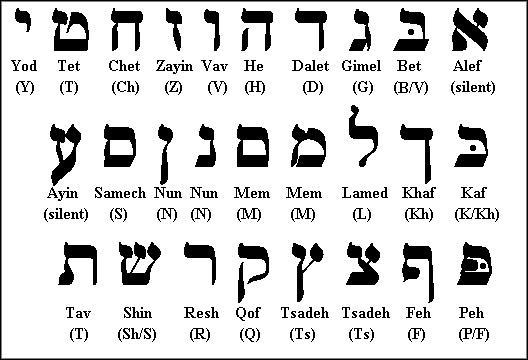 The very beginner at Hebrew most always starts by learning the Hebrew alphabet (or Alef-Bet). 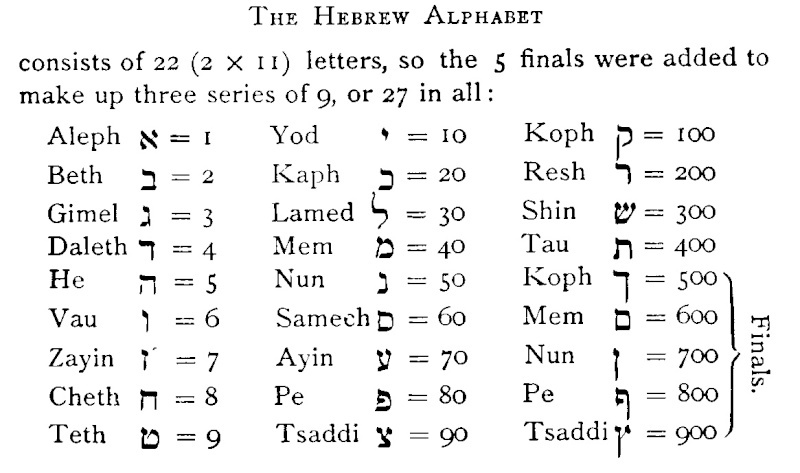 Notice how even the English word 'alphabet' comes from Greek in Hebrew (in Greek, the first letter is alpha and second letter is Beta, but in Hebrew, the first letter is 'ALEF' and the second letter is 'BET'. Students must learn to see a word, and sound it out phonetically. Hebrew is totally phonetic when reading, because each letter (when the dots are present) can only be pronounced one specific way. (Yes, different people groups may pronounce it differently, but we teach the Sephardic style Hebrew as used in modern Israel.) Writing Hebrew can be trickier, because there are two letters that could make the 'S' sound, and two letters the make the 'K' sound. WE SHALL BE SHOWING VIDEO CLIPS THAT WILL TEACH YOU BEGINNING HEBREW. 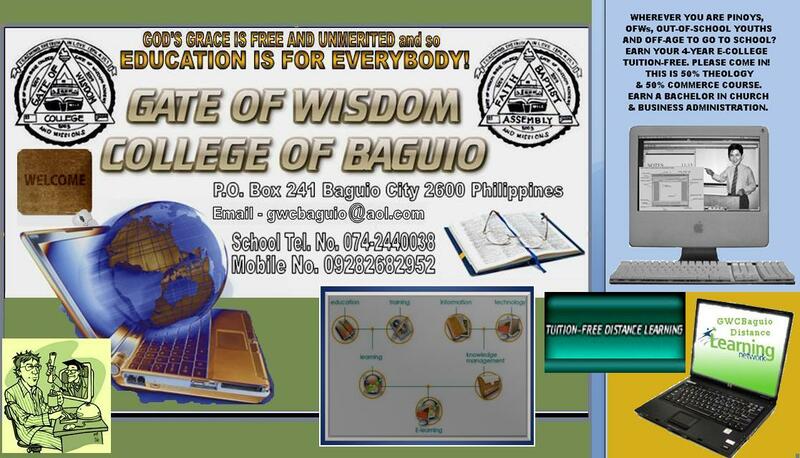 WE ADVISE YOU TO WATCH THE VID-CLIPS TWICE OR THRICE SO WE SEE TO IT THAT WE LEARN THE FUNDAMENTALS BY HEART AND NOT BY ROTE ONLY! The second stage of beginning Hebrew is learning vocabulary. Our module teaches the top 100 words of the Bible (based on frequencey of use). Music is a great way for a beginner to learn Hebrew. The songs are 'catchy', and as you sing them over and over, they stick in your mind, and help you to improve your vocabulary. There are many sites and pages currently published on the web that can help with grammar and vocabulary learning. This page will provide links to explanatory grammatical pages and grammatical charts within our web site as well as links to other resources that may help you learn or review Biblical Greek grammar. The Greek alphabet is composed of beautiful letters that have withstood the test of time. There are many sites that can help you learn the alphabet. Many of them have audio features to you can learn how to write and pronounce the alphabet. Bear in mind that there are a number of pronunciation systems. See our pronunciation guide here. The pronunciation of the Greek letters and some simple rules. Some examples so that you can learn your first Greek words. Don't forget to message me for questions or suggestions. The third part of "Learn Greek". The last basic rules, in order to pronounce the Greek language right. Here you will find the pronunciation of the Greek vowel and consonant combinations. You may find it a bit more difficult than the previous lessons, but for beginners these three lessons are more than enough. If you have any question send me a message through you tube, or comment. If the slides pass too fast, pause. I also will be happy to hear your requests, or corrections. Oh, I'm sorry I forgot the letter ή when I showed the accent on top of the vowels.